Daggers Mid Flight - is the amalgamation of Computer Dying & Hotel Wrecking City Traders. The title track 'Leap of Fangorn' appears on a new compilation entitled: 'Book of Riff Elations' - A Free Sludge/Doom/Stoner Digital Download compilation from the good folks who run Grip of Delusion Radio. 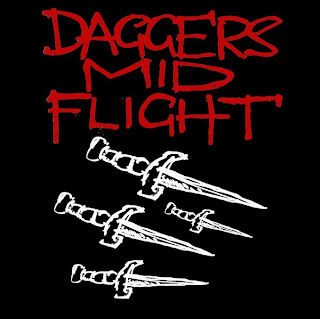 You can also download the first Daggers Mid Flight album (on a 'pay what you like') basis as well. More info on the new album soon. It will be a digital download only album on a 'pay what you feel' basis.